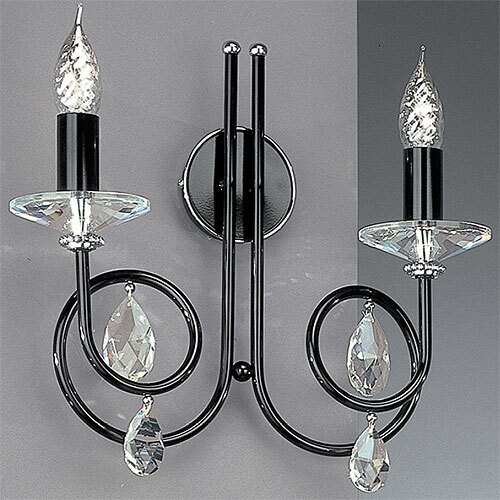 J H Miller Alejandra 2 Arm Wall Light Black has a shiny black finish with chrome details and elegantly finished with Spectra Swarovski lead crystals. This Alejandra has 2 lighting arms and comes ready assembled for installation. Shown with 60W SES bulbs that are not included with the wall light.